We, Malaysians take our three daily meals very seriously. And yet, come meal time, most of us find it difficult (especially for those working) to drag our lazy bums to the car, turn on the engine, abandon your perfect parking spot, brave the infamous Malaysian traffic, pick a place to eat, find a parking spot at said eatery, find a place to sit in said eatery, pick what to eat, order, wait for your food to arrive, eat, pay, leave, brave the infamous Malaysian traffic (yet again), find a parking place (because your previous spot was taken up by someone else) and return to work. Wow, I got exhausted just typing that out. Okay, that's basically the dilemma I find myself wrestling with at work everyday. In the end, I usually end up tapauing the same food from my Malay food auntie in my office block. On very rare occasions, I'd prepare my own lunch at home. Emphasize on very rare. I could do delivery order but let's face it. The usual options would be fast food and pizza which aren't exactly meal one would want to eat everyday. Holy crap, I will officially never have to leave my office for lunch anymore! Much excitement! Using Foodpanda is convenient as it is accessible via desktop and mobile app and ensuring that your food gets to you when you need it is a simple feat too. 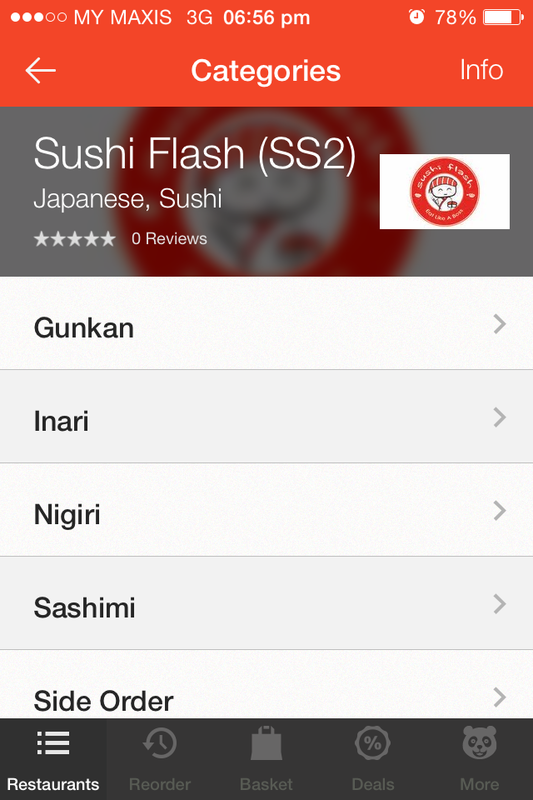 Here's my beginner's guide to ordering via Foodpanda. 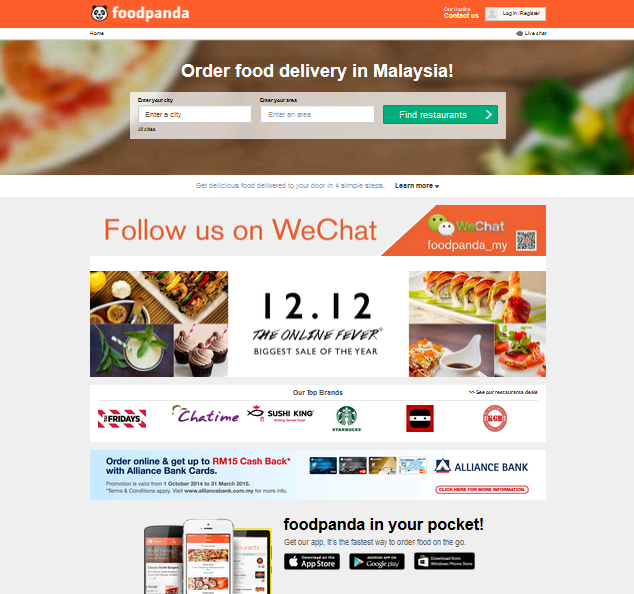 Step ONE: Start up your Foodpanda account as this will allow you to keep track of your orders and store your delivery information. Step TWO: Select your area or where you want your food to be delivered to. Step FOUR: Go crazy and order to your heart's content. Or whatever your waistline tells you to. Some restaurants have a minimum delivery order and fee as well as government and service tax. 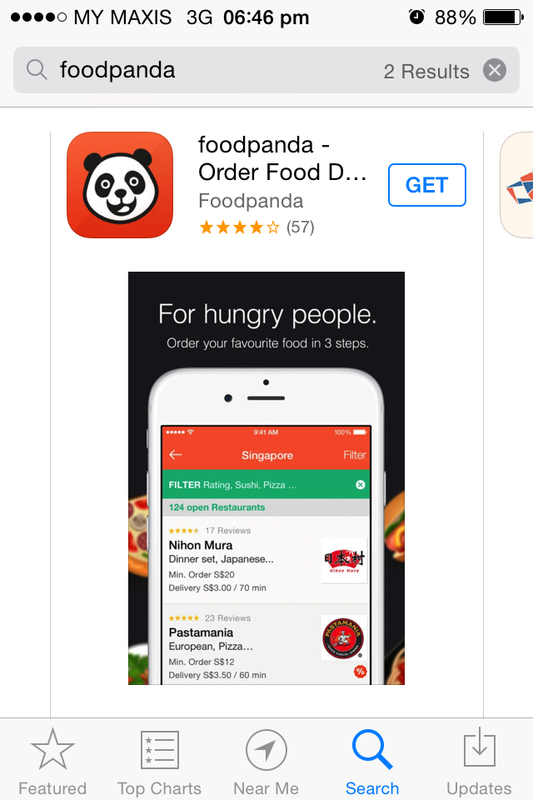 Don't worry as Foodpanda lists that all down for you. 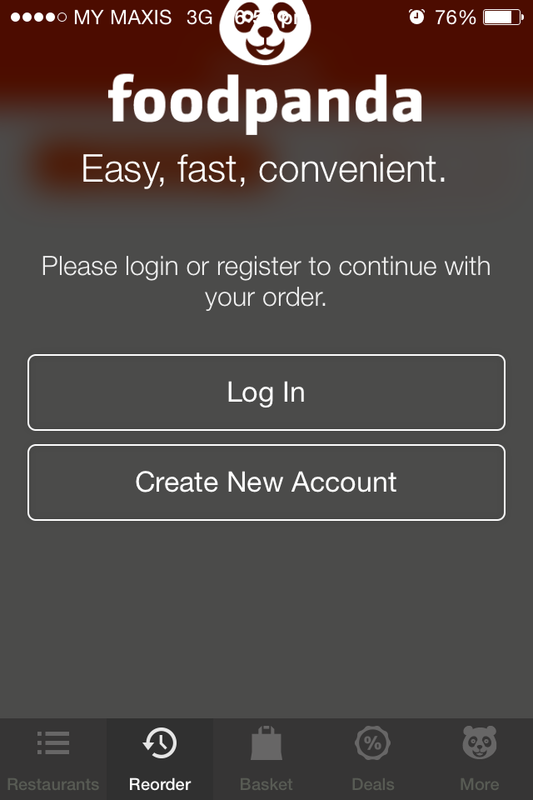 Step FIVE: Confirm your order and pay. 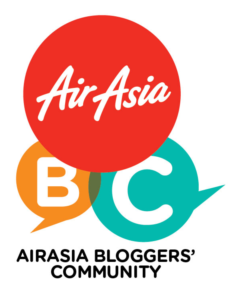 You can opt to pay online or cash on delivery. I prefer paying online as that removes the need to scramble around for loose change or to do the awkward dance of passing-the-money-to-the-delivery-dude-with-your-hands-full-of-your-order-and-if-there-is-change-you-are-screwed. Step SIX: Wait for your order to arrive. Even though Sanbanto was closed on Monday, I could still pre-order for it to arrive on Tuesday at a selected time. Exactly an hour before the delivery time, I received a SMS and an email stating that my order has gone through and is being prepared. Then at exactly 730pm, my order came. On the dot. Like woah.......colour me impressed. It's really simple to use. I'd recommend using Foodpanda to just about anyone who doesn't want to waste lunch hour stuck in traffic and queues just to eat. Or is just plain lazy to drive out for food. 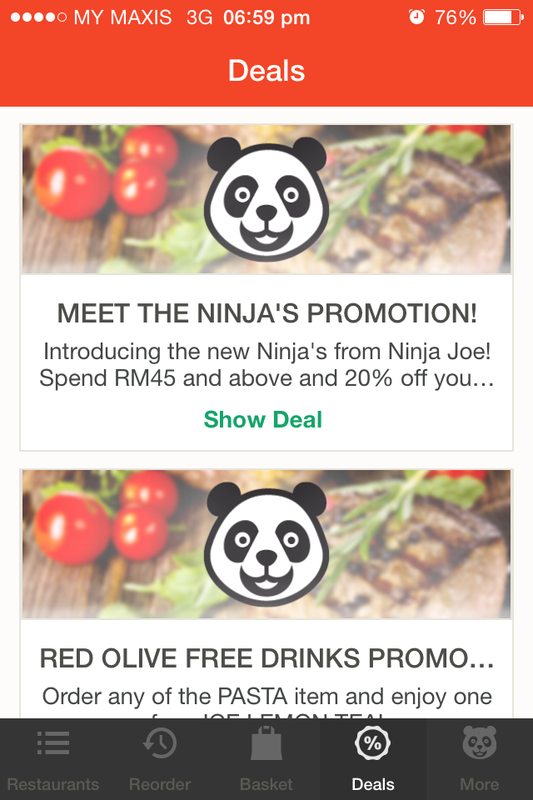 Besides that, Foodpanda also offers deals with selected restaurants that can be quite worthwhile. Happy Om Nom Nom Nom!